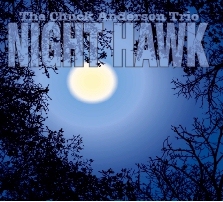 Night Hawk is a prime example of what makes the Chuck Anderson Trio special. 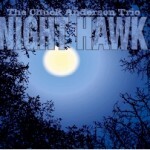 The originality of Anderson’s compositions and his superior guitar work set the standard. Schreiber and Rick excel at what they do, providing the integral backbone of the trio. The selection of standards and new compositions are the ideal canvas for Anderson, Schreiber and Rick to work their improvisational artistry. Read the full review on the Guitar International website. The Trio’s 2010 album, Freefall, was similarly praised. This album should be listened to by guitar masters who still want to learn how to play their instrument. Everyone else runs the risk of being enchanted by the proper expression of an instrument which has told the human story almost since the beginning of recorded history … Eric Schreiber on 5-string bass and Ed Rick on drums and percussion provide perfect foils for Anderson. At times Anderson and Schreiber function almost as one instrument: their playing is that well-coordinated. Read the full review at All About Jazz. 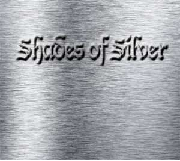 ‘Shades of Silver’, a collection of new music featuring ‘The Nerve’, ‘Silver, Schreiber and Coccio’ (progressive fusion trio), and Scot Silver (acoustic solo). ‘Shades of Silver’ is on sale now. ‘Kaleidescape’, Shades of Silver’s new album, is now on sale! Listen to sound clips and buy it now at CD Baby. Flow is ‘The Nerve’s’ latest album. Thirteen tracks of original music, written and performed by the group. On sale now. 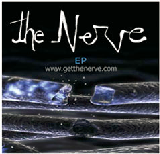 ‘The Nerve’s’ 2009 EP on sale now. ‘The Curt Sheller Trio’s’ 2015 release. Read the full review online. CD on sale now.